When something in life pushes your “fear button”, there are 1400 distinct biochemical consequences that occur in your body, including the release of cortisol and adrenaline. This constant fight or flight reaction to stress is why we’re aging faster, seeing increase in chronic illnesses and feel more energy depleted than ever. But is there a better way to control your reaction to fear? Dare we say…one that actually benefits you? Factors that cause pain and fear are part of life. But how you perceive is what you’ll receive — they don’t have to always be adversaries. The sound of your feet running away from your dragons will drown out it’s message to you. But if you’re courageous enough to stick around and listen closely, you can hear what it’s trying to say. The message in your pain will help you deliver your message to the world. By experiencing and identifying your fear, you can shift its power to work in your favor — rewarding you with wisdom, energy, and growth. The electrical signal of the heart is so powerful, it can be measured several feet away from the body. The appearance of that energy field itself is distinct and tells a story of your emotional state — whether it be appreciation, love, gratitude, compassion or frustration, sadness, depression, and anger. What story is your heart telling? Is it different from what you’d like? Bruce Cryer is a professional heart reader. 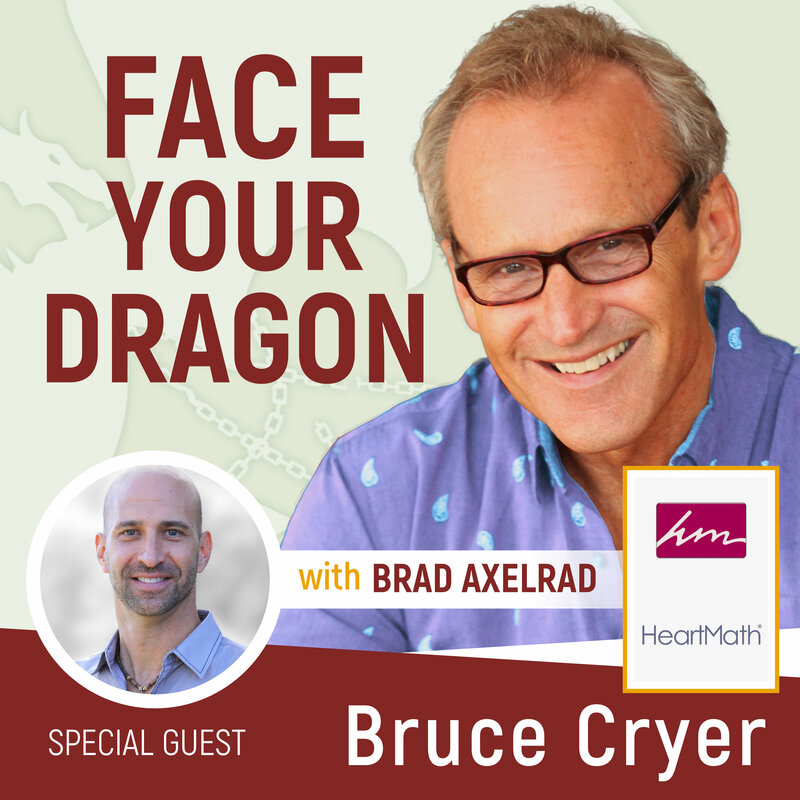 As Senior Advisor and Former CEO of HeartMath Inc., the Face Your Dragon podcast has been quoting his knowledge and HeartMath insight since episode #1. 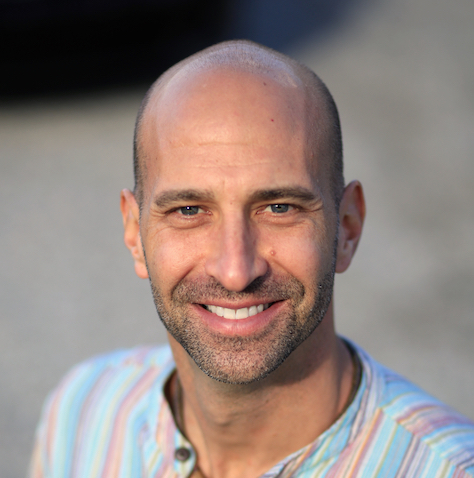 In this episode, you get a full dose of his valuable wisdom and research as he discusses the astounding power of your heart, how fear affects it, ways to recognize and handle fear when it comes up and how best to use it as an opportunity. To be more fulfilled and succeed in life, Bruce emphasizes the importance of loving presence and expressing yourself with your creative energy or being in touch with “what makes your heart sing.” Both of which create a flow state and the electrical heart pattern of coherence. When you align your passion and creative spark, you’re doing what you’re meant to do. Whether it’s speaking at an event in front of a captivated crowd or getting a heartfelt hug from a grateful coaching client — you feel the overall buzz of your energetic flow. You know and your heart knows. It’s an unmistakable feeling. To sense the difference you’re making in the world and how it’s impacting people’s lives is well worth transforming your heart’s song from fear to fulfillment. Find out how to investigate the message in your pain. How to challenge yourself to open your heart more and live a more heartfelt and love filled life. Learn the importance of expressing creative energy and how it affects your life.